Jews first began to settle in Morocco over 2,000 years ago and for centuries they and Muslims have happily co-existed there. Morocco was once home to the largest Jewish community in the Arab world and at its peak had a quarter of a million Jews. But after Israel was founded in 1948, things changed. I helped carry luggage, when the Jews boarded the buses. When they left, their amazing Jewish food went with them. We no longer danced traditional ahwach. We didn't want them to leave. Fear that Morocco's eventual independence from France would lead to the persecution of the country's Jews, plus a desire to bolster Israel's population, led to a large-scale emigration movement. Moroccan Jews were persuaded to leave their homes and move to Israel. Mossad, the Israeli intelligence agency, played a key role in convincing thousands of Moroccan Jews that they were in danger and covertly facilitated their departure. According to Fanny Mergui, a political activist and Moroccan Jew returnee, the community felt "very threatened." She says "Zionist propaganda was very intense." Some Jews resisted the Mossad initiative and stayed in Morocco, but most left. Today, only about 2,000 Jews remain. For those who left, their new life in Israel was not necessarily what they had imagined and many felt marginalised there. Even today, their ties to Morocco remain strong. Although there are no official diplomatic relations between the two countries, Morocco is Israel's third-largest regional trading partner. Many of the Jews who remained feel particularly conscious of the tension between Morocco's strong commercial relationship with Israel and its open support for the Palestinian cause. Although Jews do not have a clearly-defined, formal place in contemporary Moroccan society, the majority Muslim and minority Jewish communities are largely committed to upholding the country's rich, diverse culture and preserving its Jewish heritage. Yet the community's future is uncertain; and as the Jewish population of Morocco ages, many fear it will eventually vanish. 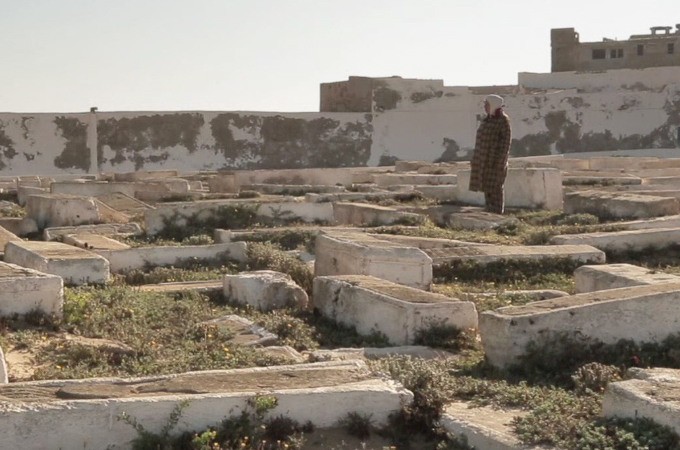 In this film by Charlotte Bruneau we hear from Moroccan Jews who left, those who chose to stay - and those who emigrated and have decided to return to safeguard a disappearing culture.